Sugarcane fields have been a predominant feature of the Mauritian landscape for over three centuries now. Indeed, sugarcane was one of the many plant species of economic interest that were introduced in Mauritius by the Dutch in 1639. It was however under the administration of French Governor Mahé de Labourdonnais some decades later, when the island started its economic development, that the cultivation of sugarcane was encouraged and developed on a large scale, together with other crops such as cotton, indigo, coffee and spices. Sugarcane proved to be, however, the only crop suitable to local climatic, soil and topographic conditions, and which could therefore be grown on a commercial basis. By 1755, sugar was being produced to meet the needs of the inhabitants of the colony and of its sister island Bourbon (now Réunion Island), and also to supply the many sailing ships which called at the island. Sugar gained further in economic importance under British rule throughout the 19th century. The first steps towards producing sugar on an industrial basis were laid down and exports started as early as 1810 to the United Kingdom. With the diversification of export outlets and the granting of preferential tariffs on the UK market under the Imperial Preference System in 1919, together with improved methods of cultivation and production, sugar production in the colony continued to soar to reach 240,000 tonnes in 1925. It was therefore not surprising that until the early 1970’s, agriculture remained by far the island’s most important sector and contributed almost all of its foreign currency requirements. At that time, Mauritius was more specifically a monocrop economy because of the overwhelming importance of sugar. The success of sugar on the island was not only attributable to the high adaptability of the sugarcane plant to local climatic, soil and topographic conditions but also, to a large extent, to the preferential trade agreements that the country, as a Commonwealth state and then as an ACP (African-Caribbean-Pacific) one, benefited successively from the United Kingdom and from the European Community. Indeed, Mauritius had been able to make the most of the advantages derived from these trade preferences, namely the Sugar Protocol (1975) and the Special Preferential Sugar (SPS) Agreement (1995). The Sugar Protocol in particular, initially attached to the Lomé Convention followed by the ACP/EU Cotonou Agreement in 2001, has been granting to 16 ACP countries duty free access to the EU market for fixed quantities at a guaranteed price. By providing Mauritius with a predictable and stable source of earnings over the years, the Sugar Protocol had been instrumental in developing the local sugar industry and in fostering the economic diversification of the island. Revenues from sugar exports have continually been re-invested into the sector and into other economic activities, some of which have today developed into major pillars of the Mauritian economy, namely manufacturing, tourism and finance. Against a background of increasing trade liberalisation and stronger competition on the traditional export markets of Mauritius for its main products (sugar and textile), namely the European Union and the USA, the country is sparing no effort for the successful restructuring and consolidation of its main economic sectors. As regards the sugar sector, with the two strategic plans launched by Government since 2001 (Sugar Sector Strategic Plan 2001-2005, Multi Annual Adaptation Strategy 2006-2015 with the Mid-Term Review in 2010), major investments have been made to improve the overall competitiveness of the industry, and to diversify the revenues from the cane and its by-products. However, the implementation of the reform of the EU Sugar Regime in 2006 resulting in a drastic drop of 36% in sugar prices and the abolition of the Sugar Protocol in 2009 resulting in the loss of preferential markets had triggered a paradigm shift for the marketing of our sugars on the EU markets and the introduction of local structural reforms to adapt to the new market conditions. 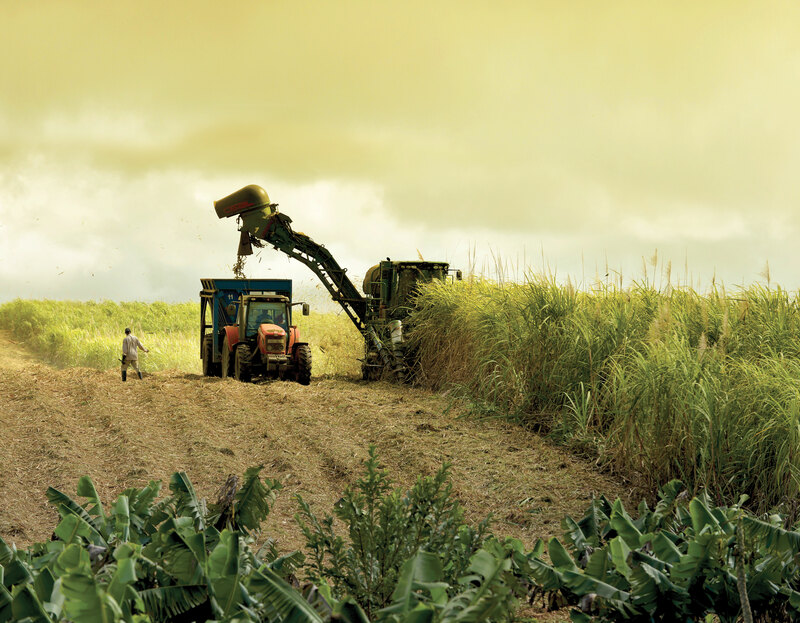 In the context of the EU Sugar Reform, the Mauritian Government benefited from a financial support of €250M from the EU Commission to assist in the implementation of the necessary reforms. More recently, the decision of the EU Commission to abolish the quota of sugar beet production in the EU as from October 2017 has resulted not only in a further erosion of our preferential market access into the EU but in another drastic drop of more than 20% of the EU sugar prices, thus bringing revenue for all sugar suppliers, whether beet or cane producers, lower than the costs of production. Concurrently from a non-sugar sector perspective, several strategic plans have been adopted (Non-Sugar Sector Strategic Plan 2003-2007, 2008-2016 and 2016-2020, the Food Security Fund Strategic Plan 2008-2011 and 2013-2015) with however, no significant increase in local production. The country remains a net food importer with a few exception on certain commodities such as eggs, poultry meat and fresh vegetables. In that context, the agricultural sector and in particular its sugarcane cluster is to remain a source of wealth for the Mauritian economy, one of the country’s development pillar and play a vital role in the socio-economic fabric of Mauritius. With this new configuration, the local sugarcane industry is at the cross roads. A new structural reform is necessary to again contain the rise in costs of production and increase the revenue of all producers. On the other hand, the non-sugar sector needs a profound restructuration to improve its resilience towards the import products and the impact of climate change.